The Tahoma Bears won the first ever home dual in our new high school in front of an electric wrestling crowd! 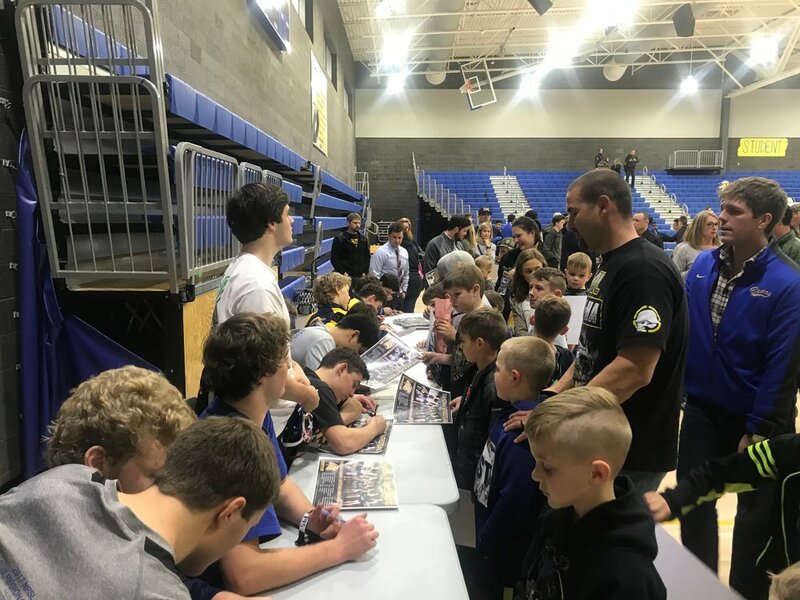 Tonight was Junior Bears night, an awesome night to celebrate our 12 year old Junior Bears who got to take the mat prior to the dual to show off their skills. 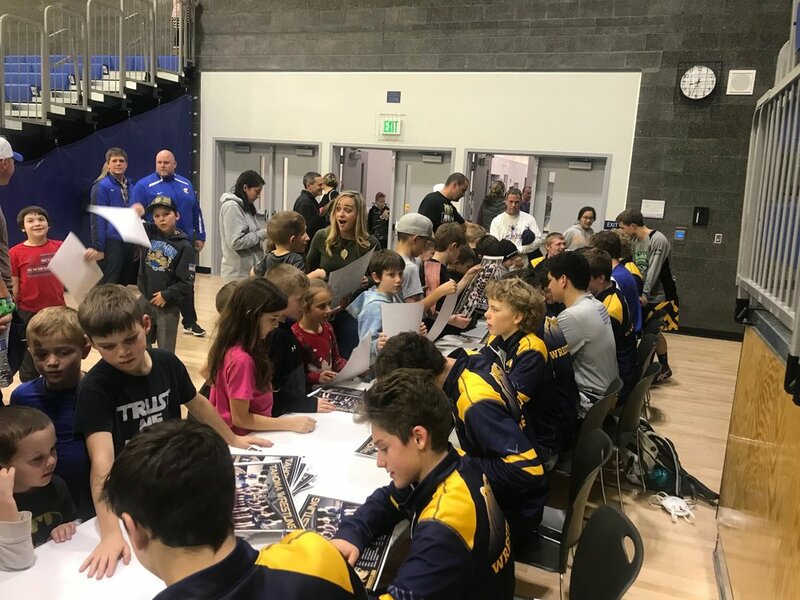 After the match, Junior Bear fans were able to get signed copies of this years team poster. Thank you to all of our fans that come out and support us.